Many of you know that I love Instagram and now I’ve discovered something AMAZING – the Walgreens photo app!! 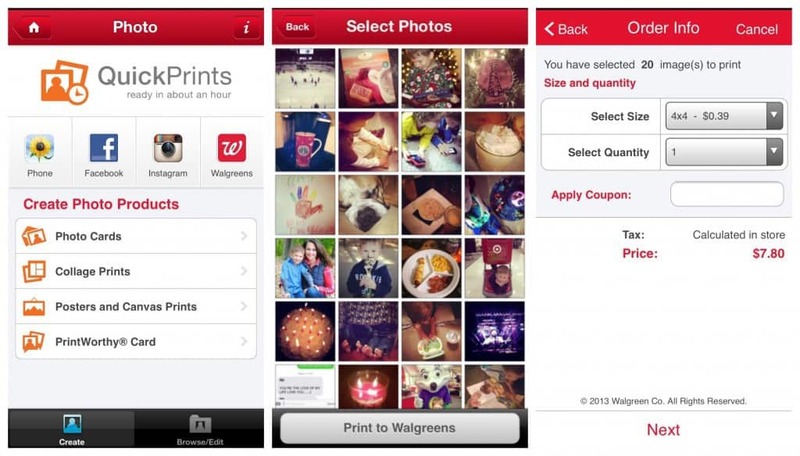 The Walgreens photo app allows you to print all your favorite Instagram pictures right from your phone. Woohoo!! Pictures always make me happy! I’m all about finding apps that make my life easier and this is definitely one of them! 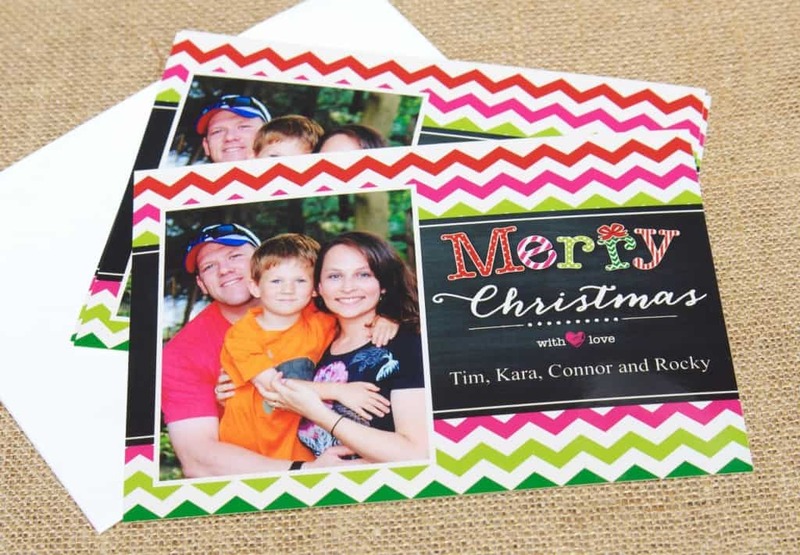 In just four easy steps I was able to print my pictures and they were ready to be picked up in just under an hour. Step 1: Open Walgreens app and click photo. Step 2: Click Instagram and login to your Instagram account. Step 3: Select all the pics you want to have printed. Step 4: Click Print to Walgreens and place your order. Then all I had to do was pick them up at my local Walgreens and put them in pretty frames. Now I have the perfect Christmas gift for my mom and mother-in-law. I also framed a few in individual frames to send in Tim’s next care package. I also used the Walgreens photo app to make my Christmas cards this year. 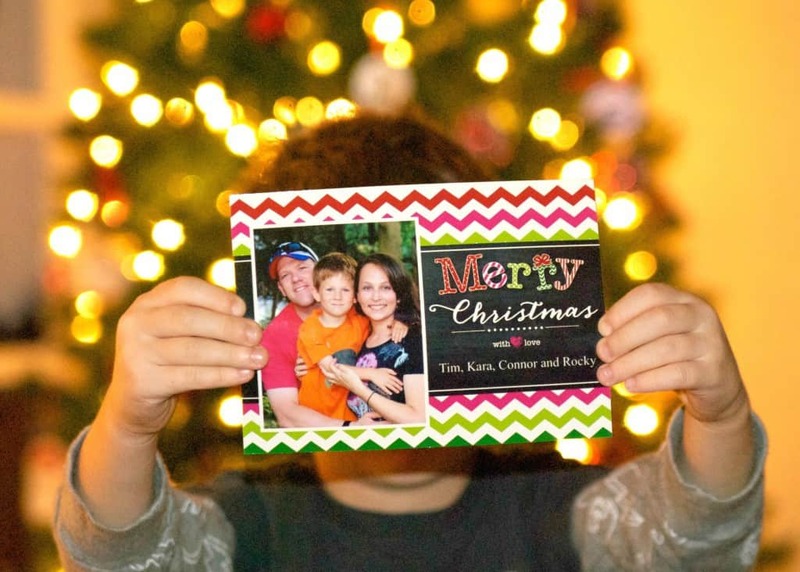 There was no excuse not to send cards since the Walgreens photo app makes it so easy. Step 1: Open the Walgreens app on your cell phone and click on photo. Step 3: Choose a design you like. Step 4: Choose the picture you want to use. 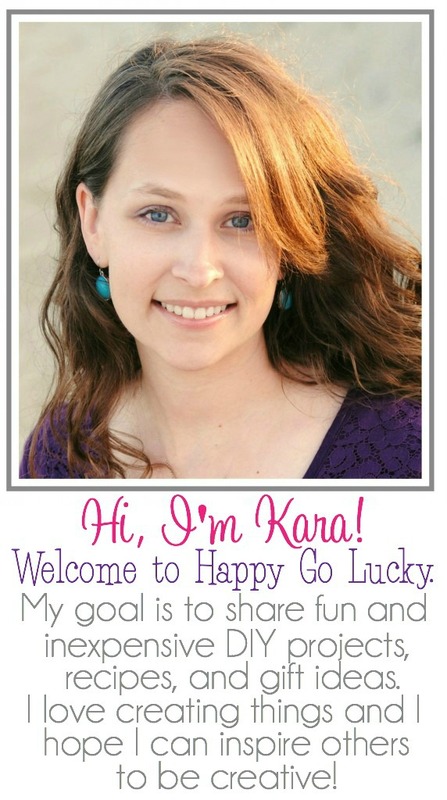 Step 6: Add your personalized message. Step 7: Click Print to Walgreens and select how many you want to order. Then you are ready to place your order. I cannot tell you how happy it makes me to see my favorite Instagram pictures framed! And I know my mom and mother-in-law will be so happy when they open their gifts this Christmas. Where did you get the square frames in the first picture. I’ve never seen anything like those and they’re great for instagram photos. What great pics you have of your family! I never get in the shot as often as I’d like or need to. These will obviously be great gifts- the prints and cards turned out beautiful! 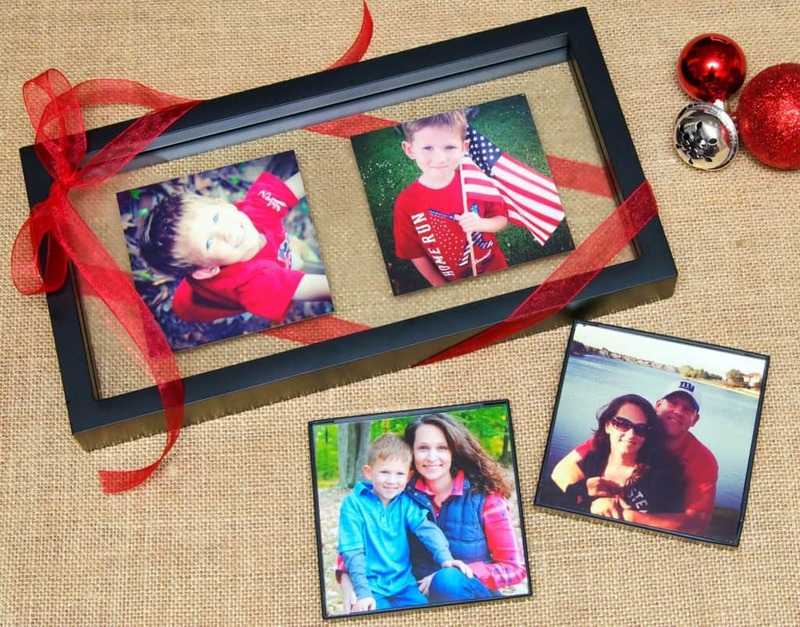 I like that Walgreens makes it so easy to create photo gifts! 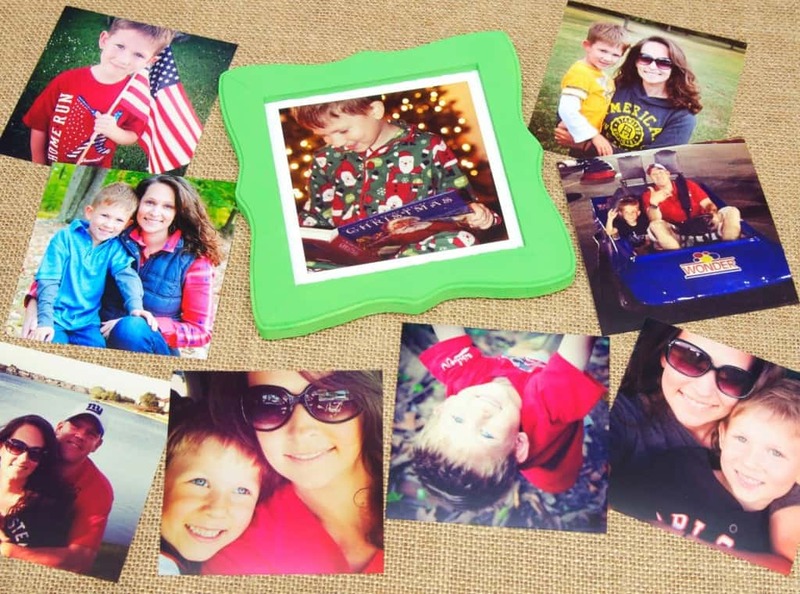 Photo gifts are always awesome and your choices are totally adorable!! I have never printed any of my Instagram photos, but I need to. This looks so easy! This is so cool! I never knew that Walgreens had a Print from Instagram ap!